Happy New Year! 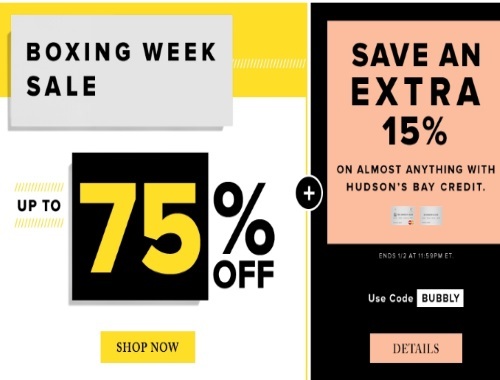 Hudson's Bay still has their Boxing Week Sale on now! Save up 75% off select items! Also save an extra 15% off on almost anything with your Hudson's Bay credit. Enter the promo code BUBBLY at checkout. Offer ends January 2 at 11:59pm ET.